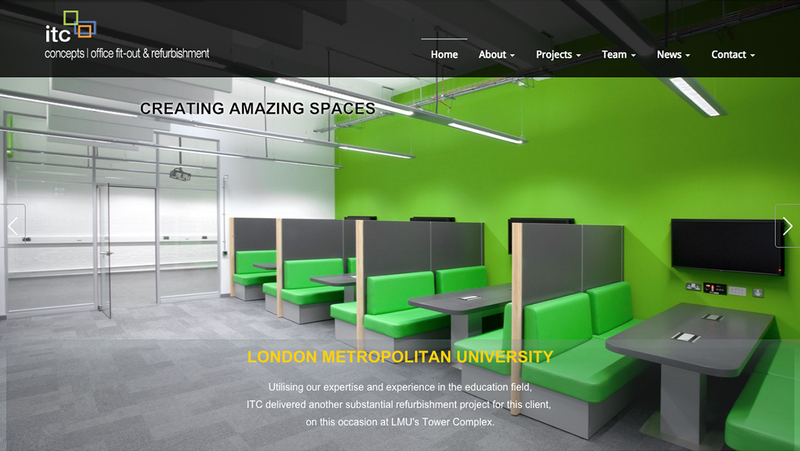 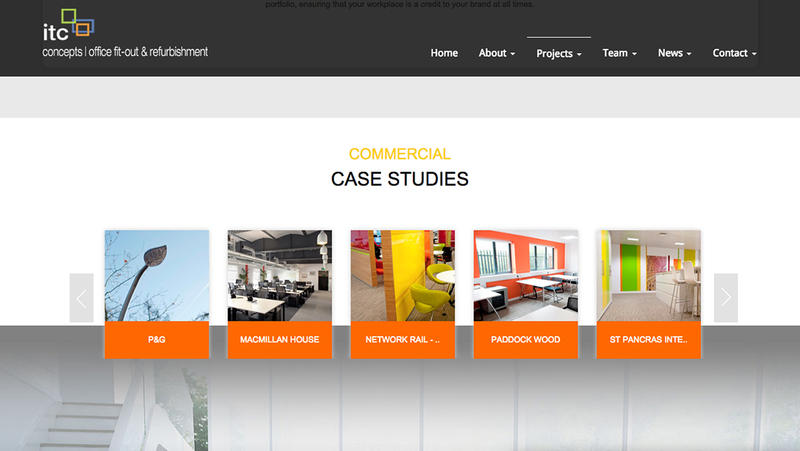 ITC Concepts are a specialist firm fitting out of commercial, education, healthcare and public buildings. 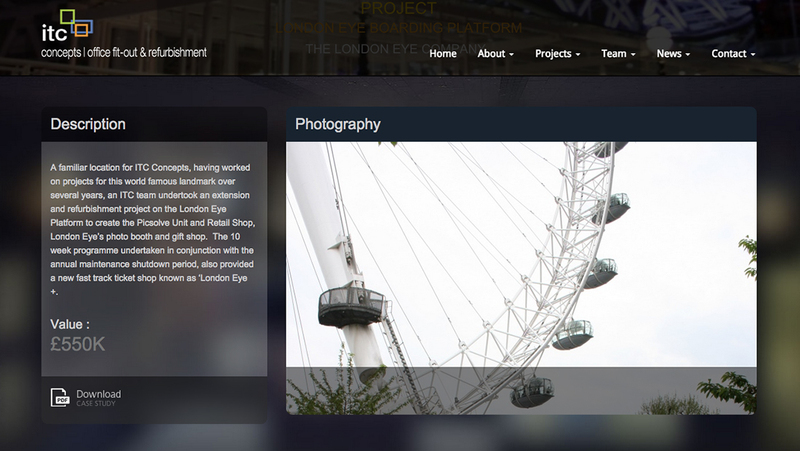 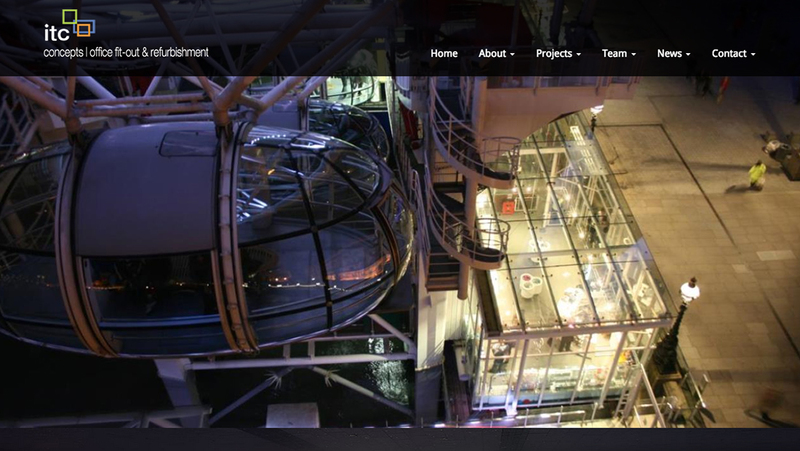 Their work is stunning and they needed a website to reflect their World-class clients. 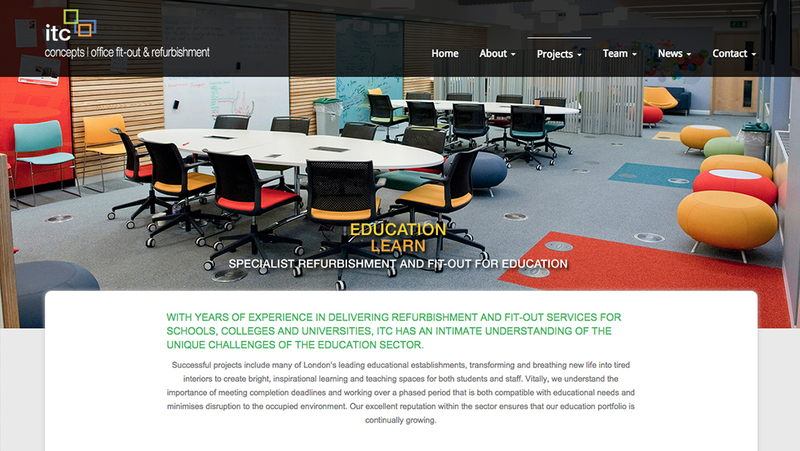 Solutions designed a beautiful website that included an elegant case studies management system and a joyful “meet the team” application. 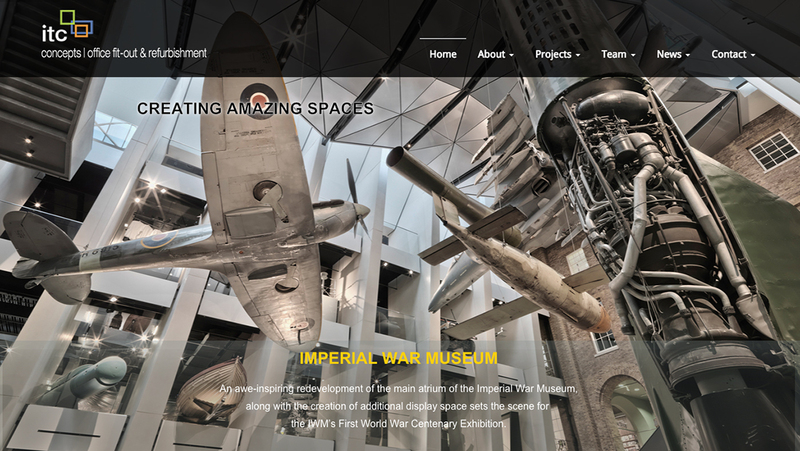 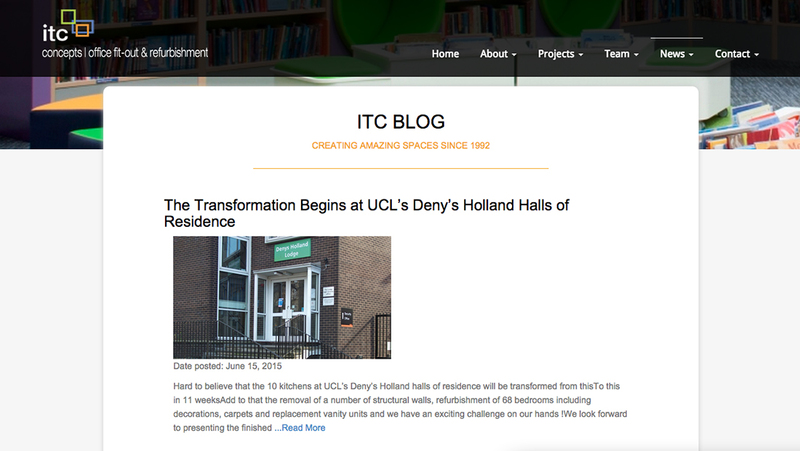 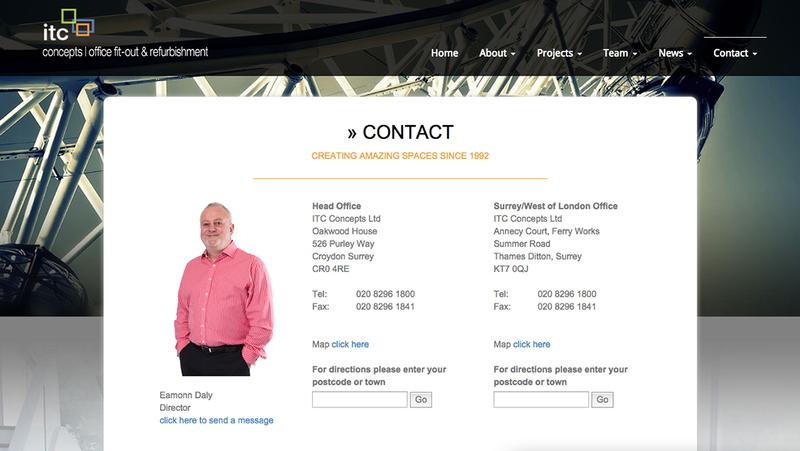 Designed in WordPress, ITC manage the website independently and in-house without the need for specialist skills.